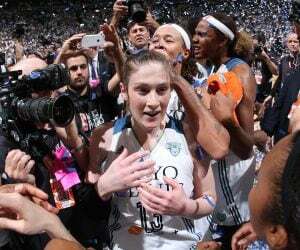 The Minnesota Lynx will be well-represented on Saturday afternoon in Seattle. 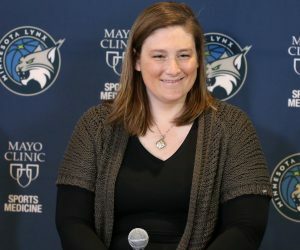 Maya Moore, Sylvia Fowles, Seimone Augustus and Rebekkah Brunson will represent the Lynx on Saturday in the 14th WNBA All-Star Game at KeyArena. The quartet will appear on the Western Conference All-Star team at 2:30 p.m. CT in Seattle, a first-time WNBA All-Star Game host. The game will be nationally televised on ABC. Moore and Fowles were voted in by fans, fellow players and media members as starters for the West, while Augustus was selected by the WNBA coaches as a reserve and Brunson was chosen by WNBA President Lisa Borders as an injury replacement for Phoenix Mercury center Brittney Griner. 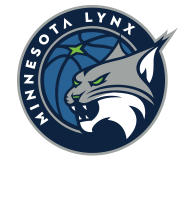 The Lynx coaching staff will also represent the Lynx in the game. 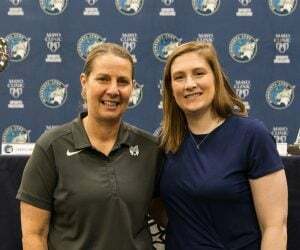 Head coach Cheryl Reeve, along with her entire coaching staff, will be in charge of coaching the West. New York Liberty head coach Bill Laimbeer and his staff will be coaching the Eastern Conference. Reeve will serve as a head coach in the All-Star Game for the third time. Moore is making her fifth appearance, Fowles is making her fourth appearance, Augustus is making her seventh appearance and Brunson will take part in her fourth All-Star Game. The Lynx will be sending three or more players to the All-Star Game for the fifth time in franchise history, which also ties a WNBA record (Detroit – 4, Houston – 4, New York – 4, Los Angeles – 3). 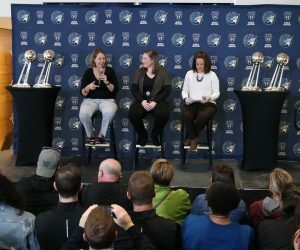 For all four Lynx players, as well as the coaching staff, the All-Star nods are well-deserved for a group that has and continues to represent Minnesota well. Along with the All-Star Game, Moore will also be taking part in the Three-Point Contest, which will occur during halftime of the All-Star Game. The league announced in June that the long-range competition was returning for the first time in eight years. Moore said she was all in to take part in a competition involving shooting. The contest, which will showcase six WNBA players, is a two-round timed competition in which five shooting locations are positioned around the three-point arc. The players will have one minute to shoot as many of the 25 balls as they can, with three players who tally the highest score advancing to the championship round. The WNBA, in partnership with the Women’s National Basketball Players Association, will add another new element to the contest. For the first time, $10,000 will be donated to a charity of the winner’s choice in support of her work in the community. Make sure to tune in to watch Moore, Fowles, Augustus, Brunson and the Lynx coaching staff on Saturday as they all take part in the 2017 WNBA All-Star festivities.